NEW Vid Coming Wednesday. Stay TUNED! +BN On Rense Radio This Thursday! The party’s over guys. Time to pray! I know of a new MD who sought to buy his first house. Nothing extravagant, $350K. The bank balked. He had too much student debt hanging over him. Yep, things are going to get bad. Then worse than bad. Had Mad Hillary got in, things would have been far worse by now, and by her design. Trump’s just one man, daily not knowing which of the people recommended to him for appointment to high positions will turn out to be more venomous, for the misplaced trust having been placed in them, than the snakes and spiders of Florida. Let’s not forget that by gradually withdrawing from overseas bases to allow the world to run itself, and extricating America from the serial foreign wars, the savings to be accummulated are incalculable, for already we know that the wars between 01 and 16 have cost $6Tr, with ongoing residuals with regards to veterans. Personally, I would that Trump, with the military behind him, declare a state of emergency with a time limit of one year, and that in January 2020 he would enter the race for the presidency, the election for which would be held as normal. Much would be achieved in that time of one year, for he is a good man, not in it for himself or his family, but for the American people. Now that China has figured out the Jew SA’s moon landing hoax and is demanding confession, we are about to become the laughing stock of the world. Once folks realize what a bunch of lying fraudsters the JewS government is, more may start to question 9/11 and all the other false flags. If the holohoax becomes subject to inquiry, the Jews are in trouble. Jews reports suggest that Senator Kamala Harris, D-California, is likely to be the Democrat candidate for president in 2020. The Jews are obsessed with having a Democrat as the first female president. When Michele Bachman ran for president as a Republican the Jews Media viciously attacked her until she dropped out of the race. It was a similar story with Sara Palin when she ran for VP as a Republican. Jews made Hillary a senator from Jew York, Secretary of State, Dem nominee for president, and made her filthy rich to pay her off for standing by her man when Bill was being impeached, which helped prevent Bill from being booted out of office. Hillary didn’t have the charm, personality, and appeal to get elected, but she kept her part of the deal to stand by her man so that he wasn’t removed from office when he was impeached. That was Hillary’s ticket to big time politics. Kamala has the boxes checked off like the Jews want. Unlike Hillary, Kamala is charismatic, has a pretty smile, a polite demeanor, and seems electable. Kamala is a Democrat and her husband is a Jew. Politicians whose race or gender doesn’t align with Zionist divide and conquer plans don’t get financed into office. Such politicians get destroyed by the Jews Media or get no media coverage, and don’t get elected. To be a successful female or non-white politician means being a Democrat. Otherwise the Jews destroy the politician instead of support him. The two sides which Jews have organized divide and conquer politics into are white males vs everyone else. Jews shoo minorities and women into the Dem party, white males into the Repub party. Except for Foxjews, mass media can be expected to portray Trump, or whoever the 2020 republican nominee is, as the face of evil, as usual. 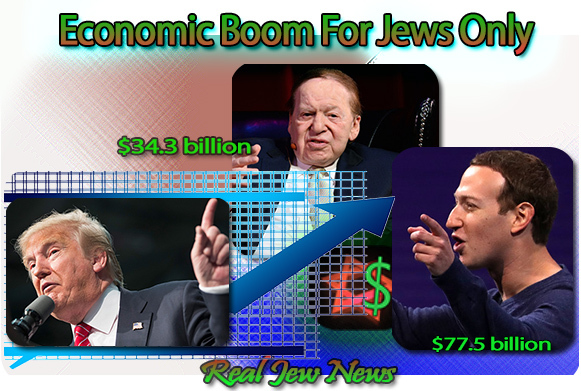 Trump will probably regret having owned the stock market rise and economic boom because Wall St Jews will probably use a market crash as another way to ruin Trump in the 2020 election. People must understand that virtually all of our money comes into existence by the action of the banking system in making loans. The “money” that the banks lend is not taken from an existing stock but is created, with the deposit following the loan. This credit-money is quickly spent for whatever purpose it was intended and goes back through the production system where it is cancelled as purchasing power when the producer repays his/her outstanding production loan originally issued by a bank–or when it may be placed to reserve. Money in the modern world is essentially mere accountancy. Financial costs are created by production and cancelled by consumption. All financial costs must be recovered finally from consumers when they spend their incomes. Money does not “circulate”. It is created and destroyed, issued continuously and cancelled continuously. Unfortunately, because of existing accounting conventions as they interact with the credit system, the rates of flow of costs and price-creation continuously exceed the rates of consumer income payments, creating a deficiency of consumer purchasing-power which widens exponentially as non-labour factors of production (e.g., automation, robotization and artificial intelligence) replace labour as a factor of production. Incomes distributed in respect to previous items brought into current production as costs inflating ultimate prices will have been spent and will not be available to meet their necessary inclusion in prices as added financial costs recoverable from consumer purchases. The price-system is intrinsically non-self-liquidating, i.e, it cannot provide sufficient purchasing power to recover and liquidate the financial costs which it incurs within any production and costing cycle. It can only function with a continuous injection of additional purchasing power–which under conventional finance is issued only as further loans in the form of debt, the ownership of which is claimed by the banking system. But it is a delusion to imagine that we can eliminate debt by incurring new debt as a mortgage on the future. This new credit is issued for additional consumer and capital goods expenditure, increasingly irrelevant and destructive as with military expenditure which latter now constitutes, directly and indirectly, nearly fifty percent of the U.S. economy. As State borrowing increases to support an economy which is ever more short of consumer buying power, the power of the State increases proportionately to that of the private sector. This is communization by stealth. The solution to this dilemma is not, as some amateur “money reformers” advocate, to place creation of money exclusively in the hands of the State. The centralized State control of credit was a key plank in the Communist Manifesto–a sure guarantee of tyranny. The real credit or productive and consumption power of a nation resides in the people and the ownership of the nation’s financial credit belongs with the people as individuals—not as an abstract collective. A constant and increasing injection of new purchasing-power into the price-system is absolutely essential. But it must be introduced by a compensatory flow of consumer income, issued without being accounted as inflationary debt, going directly to the support of consumption. It should be issued to all bone fide citizens equally by right of inalienable inheritance, as National (Consumer) Dividends and payments to retailers at point of sale enabling them to sell at continually falling Compensated (Retail) Prices, reflecting the growing increases of genuine technologically achieved production efficiency. The existing financial system sabotages these efficiencies by means of continuous inflation of prices. The communist will enter the factory and expropriate it at the point of a machine-gun. The financial system performs essentially the same action by appropriating the communal capital or Cultural Heritage by placing upon it a perpetual and expanding financial mortgage. The State has a role to play, but it is to break the existing monopoly of credit—not to transfer this monopoly of power to the State. I had a naïve kitten once who climbed a short tree and walked out on one of the limbs. I was watching him, but didn’t believe he would really try to walk out to the end. Balancing and twitching back and forth like a tight rope walker he tried getting JUST ONE MORE STEP. I stopped what I was doing went to him but before I could get to him - he fell about 7′and smacked his bottom chin on the concrete below. That’s a kitten, learning the hard way. The Jew is too stupidly greedy to learn from this scenario. He is in the “twitching balancing” phase of their fall right now with all the world to see, but their arrogance wont allow them to admit fault. It’s rolled into their paranoia, thinking someone non-Jew is trying to deceive them. Their false sense of Self-Entitlement fuels their doom to a point of Self-Glorification in the hope of being successful, where they will dance like the havanagilla heathens (choking their chickens) they are! Foolish Jew Pride manifested in lies throughout their fake history! Finally, their day of Reckoning is at hand! Time is short for them now! “Woe unto you Scribes and Pharisees, Hypocrites, Ye Serpents, Ye Generation Of Vipers”! The Holohoax proved to be the perfect weapon to deflect criticism of Israel. The U.S. Constitution is the ONLY protection they have ever had, and yet they manipulate it too to their benefit only. People need to start going back to the frugal days, when they saved and invested at least 10% of their gross, and lived below their means, debt free. Back in the 50s and 60s, I sort of recall that housing, mortagage payment or rental, shouldn’t be more than 25% of net take home. When I was an adult, sometime in the ’70s during the economic crisis (and the big push to get credit cards out in public hands, including Big Banking and Petrol doing campus drives signing students up for free credit cards), besides going off the gold standard, interest on credit cards and variable home mortgages went sky high, women were forced out into the work force, the banks relaxed their financing guideline standards to something like 33% of gross income should be for housing — particularly a mortgage. The down payment, which used to mean cash on the barrel head, also began to be separately financed. The US economy is booming – but fewer and fewer are reaping the benefits. The Keiser Report crunched the numbers behind America’s dwindling middle class, and warned that the country’s young are in for a rough, debt-ridden future. As Democrats and Republicans squabble over who deserves credit for the thriving stock market, the sobering reality is that approximately 48 percent of Americans earn under $30,000 a year, co-host Stacy Herbert revealed. A tiny 1.4 percent of the population, on the other hand, earns more than $250,000 a year. “The pattern of generations living better than their parents is broken,” Max Keiser commented. Older generations who “bought into” the scheme first have benefitted greatly, but it will be their children and grandchildren who will ultimately pay the price for this unsustainable economic model, Herbert added. Besides Brother Nathanael (whom IMHO is a gold standard), are there any “good” Jews left? The good news is, more and more people here are waking up. He isn’t the only one in that position, either. 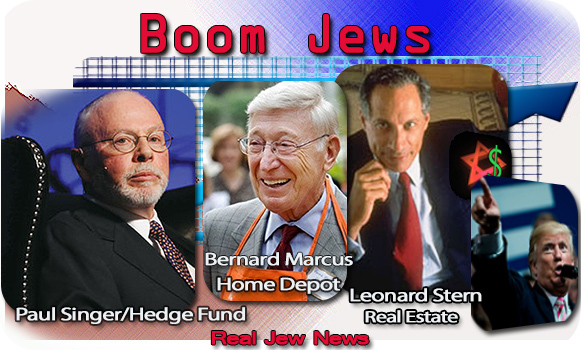 Millions of others have student debt hanging over their heads and they’re silently laying the blame on the Jewish banksters who deceived them into taking the loans. Eventually, their silent animosity toward Jewry will explode and the Jews will wonder why these young people have turned on them. It’s the Jews’ fault, they’re the ones who deceived these college and university graduates into taking the loans in the first place to study in these institutions. They own just about everything in the US and other Western countries. They own our gov’t, the entertainment industry, finance, the media, and academia. They have a stranglehold on politicians in the local, state and federal levers. As you said, Br. Nat, they own all of these politicians. The Jews’ reports say that Sen. Kamala Harris (D-California) may be the Democratic candidate for President in 2020. Her husband is a Jew, and that’s a big plus for her. Yes, she’s in many ways different in personality from Hillary Clinton. Hillary has a nasty personality and that cost her, while Kamara has charm, a nice smile, and of course, she has a Jewish husband. I hope the Democrats don’t take the White House, because they’ll certainly undo all the good deeds Donald Trump’s been doing in his two years in office. What we need is a Republican take-back of the House and a much larger majority in the Senate, as well as Trump still in the White House with another victory in 2020. I wish you well in your Street Evangelism, Brother, and pray for your success. I know you’ve had many successes in your trips through the years, and I plan to send you a donation via GoFundMe soon. Adolf Hitler said the State of Israel would become the headquarters of a massive worldwide criminal enterprise. Look, the yid quotes the Chancellor! Ha ha ha! “Israel is…a toxic cocktail of corruption.” - David Horovitz of the Times of Israel. This is one of the reasons why so many young people are attracted to ideas like free college and socialism. There are rumours of a staged/engineered Third World War, in relation to the Protocols writers, and other past and present soothsayers. The way Jews work, I think their final war before taking over planet Earth, will take a different rout. They never learn, and are always bragging and over-reaching. The futurewar will be multi-regional, and international, and will be peopled not by Soldiers, but “ordinary” men and women. The French yellow vests, and the Generals, plus the German Special Forces guys supposedly planning a coup, are early signs. A few million people, with various skillsets, along with willing helpers in the civil street, would be too much for Jews and their allies. If we look, with spiritual eyes, upon any situation in our lives, we can never be disappointed in God. His ways are infinitely above ours, and we must trust and hope in Him to work all things for our good. Eternity governs all of His dealings with His people. His eyes are on eternal redemption. We must willingly and decidedly align our eyes with His, and realize that this life is but a breath, and all He desires to accomplish in us must be done here and now. When each one of us departs this body, time will cease, and eternity will have begun. Opportunity will no longer afford us access to the rich graces of our God, allotted here and now, to transform us. Now is the day of salvation from all that offends The Heart of Our Holy Creator. As we submit to His will, and His dealings with us, we begin to see more clearly His mind, and His wonderful, holy, purposes for His children. Any given situation we find ourselves involved in may look hopeless through our natural eyes, and all evidence may affirm such a verdict, yet, if we choose by faith to see through His eyes, we are enabled to believe that His processes (all that He, in His Sovereignty, allows to touch us) will work His good will in us regardless of what the outward appearances seem to indicate. When we apply our faith, that most precious gift He has given to each one of us, (though it be only the size of the tiniest of seeds), to His promises, we begin to see that He is more than able to turn even the worst of situations in the direction that calls forth all the powers of Heaven to work on behalf of His good will and purposes in our lives. Father truly did love us to death at Calvary! O, Mysterious Gift of Mercy and Love! Jesus most willingly died there so that each one of us might enter into the very love and goodness of the Father. He sees all things from an eternal perspective, and we must tenaciously seek His Holy Spirit to teach us how to do the same. Eternity is at stake! Forever must be the goal-post we direct all of our efforts toward. If we “will to trust,” as a little child (and that choice is ever ours), that Father knows best and has only good in store for us, He cannot disappoint those who so trust. It becomes impossible, for we are taking Him at His Word! We are called to a very high place that is not unattainable, as the natural man would have us to believe. We are called to always walk in the state of grace that reflects we are forgiven, cleansed from our sin, Redeemed by the Lamb’s Blood, and free in Him to gladly welcome His wise work upon us…no matter the pain it causes to our natural man. We are instructed in faith to reckon our natural man dead. What does that mean? There are two types of sin. There is the seed of inherited sin, singular (inbred sin), handed down to each one of us from our first parents, Adam and Eve, after they disobeyed God. That is what Paul refers to in Col. 2:11 as “the body of the sins of the flesh”. This inherited sin is basically the same quantitatively throughout the whole of mankind, from creation until now, and will remain so throughout our posterity. And then there are the actual sins (plural) that we commit as individuals, which, of course, vary in degree and quantity according to each ones unique make-up, life influences, choices, etc. These sins stem and proceed forth from the body above mentioned. They are housed there. They are rooted there. That seed of inbred sin is the germ that must be eradicated. That is what must be dealt with before we can walk in the full freedom ordained for us by Our Loving Father. There is no other way to walk fully in The Fruits and Graces His Word so abundantly mentions throughout as being ours via The Overcoming Victory of Christ’s Death. How do we eradicate this germ? And what happens when it is done? Firstly, not by any effort of our own! Purely, and simply, it is a gift proffered us by One who cares so much for each of His created beings (infinitely loved by Him, and bound to become treasures in His Palace) that He does not want any to be unaware of the remedy. The eradication takes place by an act of faith on our part. By faith we put off “the old man” (inbred sin), and take God at His Word that it is done, the perfect graft of His life to ours now permeating to the root, overpowering the old, growing the new. Thus, we jealously cling to the following: God said it! I believe it! That settles it! We make it a settled fact in our hearts and minds. We settle it, beyond any doubt, that He Who has begun this work in us will indeed perfect it unto the day of His coming again! We simply believe His Word. By so doing we are continually strengthened by the Holy Spirit to endure whatever our precious Lord chooses for us to pass through. And it is to “pass through” that we are called! Through this world of misery and woe, on into His world of freedom for the son’s and daughter’s of the living God. We needn’t fear that we can’t overcome, for Jesus overcomes the evil one in us! He cannot disappoint! As we learn to “take possession of” the victory that is rightfully ours, purchased by His finished work at Calvary, we will then become more and more restful in His ability to sustain us throughout all of the testing brought to bare upon us. Oh, let us each welcome the strokes of The Tender Potter’s Hands as He shapes, and molds, and conforms us Into His Very Image! He cannot disappoint! Our Father bids us come unto The High Place In Him! We will not experience sinless perfection while still in the body, but we will find the old simply falling away, here a little, there a little. We will continually find new and exciting revelations into the exceeding greatnesses of our God and Father! We will continually find newer and sweeter hiding places in His being, where no man or devil dare to tread! We will each behold different aspects of His Omniscience, of His Omnipotence, and of His Omnipresence, that will cause us to feast with one another, and to grow with one another, thus allowing God to knit us together into The Glorious Bride spoken of in the wonderful and awesome book of Revelation; That Holy Thing Purified by the fires of God’s love, and Destined To Rule And Reign With Her Blessed Bridegroom Eternally! If we are walking In His Light, the whole of our spiritual lives will be spent with serious allegations against us. We are, and will continue to be, assaulted by men, devils, and various situations allowed by Our Loving Father. Such it was with Christ! Such it was with the multitudes of chosen ones who have preceded us! Why would it be any different for us? Remember, the same Sword that cuts to the marrow issues forth healing, also. Let us humbly, and thankfully submit. Until the father of lies, that old serpent who tempted our first parents, is forever banished by The Power of God’s Word, we must (and can) endure all He allows to come upon us. How do we fight these allegations? By standing firmly in the strength He willingly and faithfully gives to each of us, and by trusting The Very Word of Promise that tells us that whosoever will Accept and Apply His Promises, will walk in the same victory over evil that Jesus experienced. Each victory will bring us closer to the realization of His Perfect Will for our lives, individually and corporately. We are to stand Firmly Grounded in the Father’s Word. His Word Is Truth, and Truth Shall Prevail! He cannot disappoint! Pain and suffering are part and parcel of our lives in Christ here on earth, yet, not without His Joy in the Midst! It is simply the Father’s way of Bringing Us Home. We must not dwell upon trying to understand this mystery. Rather, let us dwell upon attaining, By His Grace, to That Place of Obedience, wherein we are Continually Walking in His Presence. It is therein we are not moved, and therein we are unshakeable. We go through the fires and come out unscathed! We are thrown into the den of lions and we emerge untouched! What is the purpose for the pain and suffering? Hebrews 5:8 tells us that Jesus Himself learned obedience through what He suffered. This is the will of the Father. Eternity will answer that question in completeness, when we gaze upon God’s Only Begotten Son In All His Glory! If we will to submit to His ways…He cannot disappoint! “In quietness and confidence shall be our strength”. “Patiently, and confidently, we wait upon the One Who knows our ways”. “Be still, O my soul, and know that He is God”. O, Lord. You cannot disappoint. Every minute of the day…every single hour. Abiding in My Truth…frees from all fear. It all seems like evil is stronger than good. The wicked must get a beating. This headline and Article should be on every billboard and transit stop in America. Hi Brother N. It’s Lawson. Can’t wait to see your Video tomorrow. And by the way, you always bring the house down — right on top of the Jewish Cabal’s head. I sure hope this post finds you well friend. Funny thing, 29 years ago my father told me right before he died, “Son, some day you will know”. I said, “Know what Dad? What will I know?” He said, “You will know” and boy, was he right. After following you for over ten years, now … I know. Little bleeding heart, false sense of entitlement Nancy Piglosi. The flying whore believes SHE should always fly a USAF staffed 747, of course on the taxpayer’s dime, NEVER mentioning her $26 million dollars she has! What a WORM! If she isn’t a Jew - I don’t know what is! 1. Mankind from the least to the highest will have become degenerate. 2. God will scourge the world with this war. 3. The casualty rate will be astronomical. 4. There will be famine and disease afterwards causing the death of (probably) at least as many as those who died in the war. 5. There will be some kind of celestial sign that war is imminent (this happened just prior to WW2 also). 6. There will be a significant clash of forces in the Eastern Mediterranean. 7. Riots, rebellions and finally revolutions throughout Europe - and elsewhere. Paris will be burned down by its own citizens. 8. An eminent leader will be assassinated in SE Europe. 9. Soon afterwards Russia will launch a lightning attack and quickly overrun most of Europe. Numerous nations will be annihilated. 10. After ferocious but brief fighting Russia will be defeated. 11. There will be a tremendous resurgence of Christianity among survivors. 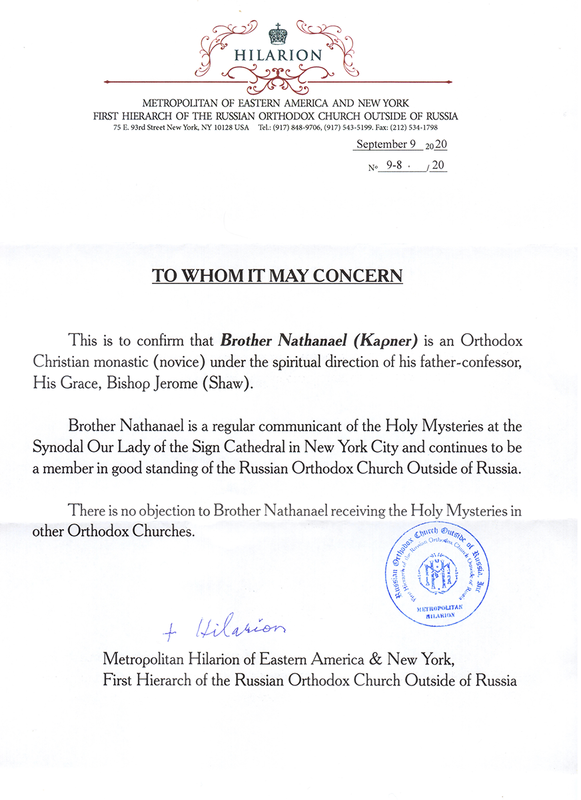 The Catholic and Orthodox churches will reunite. 12. The world will experience a golden age. 13. People will begin to backslide once again - paving the way for THE Anti-Christ. Testament of a fleeing pope, 1701: “Europe will be afflicted by horrible punishments when the Papal chair is empty. Wickedness, spitefulness and slander will enflame (((a small nation))), which will light the fuse by killing a prince. “Seven realms will rise against the bird with two heads and the bird with one head. In east and west a great war will destroy many humans. Famine, epidemics and plague will cause more victims than the war. “The time will come, when you can neither buy nor sell. Bread will be assigned and marked. The seas will be the color of blood…. Carriages will drive without horses. Fiery dragons will fly through the air and belch fire and sulfur, destroying cities and villages. The Monk of Werl, Cologne, 1801: “There will be a terrible war; on one side will be the people who live where the sun rises, on the other all those who live where the sun sets. This war will come when there is general contempt for religion. When nobody wants to obey any more, when one cannot distinguish the rich person from the poor, when the people give up themselves entirely to sensual pleasures, when iniquity reaches its climax know that the time is close. Alois Irlmaier, Bavaria, 1894-1959: “Everyone thinks peace! (((Shalom!))) Then it will happen - a new Middle East war suddenly flares up. Naval forces face off in the Mediterranean - the situation is strained. But the real spark is lit in the Balkans. I see an important man falling, a bloody dagger lies beside him - then blow upon blow. “The war begins at sunrise. The farmers sit in the pub playing cards when the foreign soldiers look through the windows and doors. An army comes from the east. Everything occurs very rapidly. Massed units march from the east into Belgrade and move forward to Italy. Thereafter three armored wedges advance with lightning speed north of the Danube towards the Rhine. “This will occur so quickly that the panicked population flees to the west. Many cars clog the roads. Everything that’s an obstacle for the rapidly advancing tanks on highspeed-motorways and other motorways will be crushed. “The Rhine Valley will be devastated, mainly by air. Immediately the counterattack comes from across the large water. The yellow dragon invades Alaska and Canada, but doesn’t get far. The “Great City” (of the United States) will be destroyed and the West Coast will be invaded by Asians, but they will be beaten back. “Airplanes drop a yellow dust in a line from the Black Sea to the North Sea. Thus a death strip is created, as wide as half of Bavaria. In this zone no more grass grows, let alone humans live. “Whoever inhales the dust gets a cramp and dies. Do not open the windows, cover them completely with black paper. All open-standing water becomes poisonous and also all unsealed meals. After 72 hours everything is over, but until then do not go out of the house, and do not look out your windows. Keep the candles burning and pray. “Overnight more will die than in the two world wars that went before. “The Russian supply is interrupted…. But then I see an airplane coming from the east, that drops something into the large water, so that something amazing will happen. The water lifts itself as high as a tower and falls down, then everything is inundated. There is an earthquake and half of England sinks into the sea. Prokop, the forest herdsman, Zwiesel (1887-1965): “I sleep and sleep not when I lie in my hut at night, but I see frightening things. I don’t sleep because I can hear my bulls out there and I hear the wind and the rain. “Once I saw the wind bringing fire and all the trees burning like matches. Another time I saw everything in decay, no humans and no houses, only ruins and debris. And again and again clouds come, fire-red and flashing, but without thunder. “And I saw the sky - yellow like a lemon and hanging far down on the horizon. No birds sang. I could not find any bull or water anymore, neither on the mountain nor down in the Regen (a river near Zwiesel, Germany). “It has to come in such a way because people believe in nothing anymore. Everyone seems to think they will live forever; and everybody thinks of what they appear to be, and can still become. “This is not the last war” (WWI), Sepp said, because before long there will be another, and then a final one comes. “This last one will be more terrible than the others. To know what it will be like at the time, you will be able to talk to your cousin in Vienna from your own house; and if you needed him rapidly he could be with you in one hour. “The Bohemian forest will one day burn like a straw barn. Don’t run away when the gray birds are flying. If you see this, know that the end is near and in fact it has already begun. Things will then be like one hundred years ago (1800). The people are thrown back and punished with this because of their immorality. “You have the meal in front of you but you cannot eat it, because it brings death; and you have the water but may not drink it, because it would also cause your death. From the Osser (a mountain at the Bavarian-Bohemian boundary) there will still be a water source where you can drink. “The air corrodes into the skin like a poison. Put on all the clothing you have and don’t let even the tip of your nose remain uncovered. Place yourself into a hole and wait til it is all over. It will not last long. Or look for a cave in the mountains. When you lose your hair it has gotten you. Take a Kronwittbirl (Juniper fruit) into the mouth. This will help. And don’t drink milk for at least eight weeks. “However, what do I say? It does not concern you - but tell it to your children and grandchildren. They will have to face it and will experience the rest of the story. I also do not understand those that have no modesty at all. People will become increasingly base and godless, so things must come to a head. In the end Europe will be like it was one hundred years ago. I see even more, but I don’t understand it and can’t tell it. “With the decline of faith everything goes downhill, and everything gets confused. Nobody sees clearly. The great ones believe nothing at all and the masses will be made crazy. In the church they will play dance music and the priest will sing to it and people will dance; but outside there will be a celestial sign that will announce the beginning of great troubles. There will be a brightness in the north, like never seen before, and then the fire will rise up all around. “Go to Bavaria, where the Blessed Virgin Mary protects the people; but there too all will be chaotic. “Everything will come like Stormberger said (Stormberger was another seer who lived about 100 years before Wudy in the same area) but he didn’t tell everything; or else they didn’t understand him because it will be worse than bad. Matthias Stormberger, (ca. 1775-1835): “Iron roads will be built and iron monsters will bark though the wilderness. There will be carriages without horses; and men will fly through the air like birds. “The Catholic faith will almost completely disappear. Priests will be quite badly respected. They will not earn any respect due to their way of living. There will be few good Christians among the people. “The Commandments of God will no longer be respected - by the aristocracy or the lowliest worker. One will not think the greatest injustice is a sin. When the Christian faith disappears the love of others will be lost. “The poor will not be given their rights and will be less respected than dogs. After this a trouble will arise that will be much regretted. There will be no order among the people. “When on the outskirts of the (Bohemian) forest the iron road is finished, and an iron beast seen, a war will begin that will last twice two years. It will be fought with iron fortresses that move without horses. Two or three decades after this war will come a second war, larger still. Almost all the nations of the world will be involved. Millions will die, without being soldiers. Fire will fall from the sky and great cities will be destroyed. “After the second great war will come a third world conflagration. It will determine everything. There will be weapons totally new. In one day more men will die than in the previous wars. The battles will be fought with artificial weapons. Gigantic catastrophes will happen. “With open eyes, the nations of the world will go through these catastrophes. People won’t know what is happening. Those who do know, and tell, will be silenced. Afterwards, everything will be different from before, and in many places the earth will be a great cemetery. The third war will be the end of many nations. “You, my children, won’t see any of this, you, my grandchildren, won’t experience it either, but the next stock, they will easily experience it. “Whoever survives must have an iron will. The people become ill and no one can help them. But it is still a long time before it happens. No one will know where Zwiesel and Rabenstein (German towns) stood. It will be horrible. Please tell the U.S. Justice Department to release Marzieh Hashemi, an American citizen who has been incarcerated for ten days despite the fact that she is not accused of any crime. The government is holding her as a “material witness” in an unspecified governmental investigation. But rather than being treated as a witness, she is being treated as a criminal. US Citizen, Marzieh Hashemi, is being held by the Federal Government without charge or accusation. Witnesses are not criminals and should not be imprisoned! Please take the following actions. Use our convenient form to send emails and/or tweets to the DOJ and Congress. Contact the DOJ and Congress Now! This effort is not only to protect Marzieh from being unfairly incarcerated and treated as a criminal, it is also to preserve essential, fundamental constitutional rights that protect people of all backgrounds, ethnicities, races, and religions. Hours ago, we asked you to contact the Department of Justice and your Congressional representatives and demand that Marzieh Hashemi, an American citizen who had been detained by the Federal Government for 10 days without charge or accusation, be released at once. Shortly after sending that email, we received notice that she has now been released from custody. Marzieh Hashemi has been released from federal custody. Her incarceration and treatment have elicited objections from both within the U.S. and abroad. “Marzieh and her family will not allow this to be swept under the carpet. They still have serious grievances and want answers as to how this was allowed to happen. “They want assurances that this won’t happen to any Muslim – or any other person – ever again. “Just as America is aware of the harassment of the Black community by the police, America needs to start talking about the harassment of the Muslim community by the FBI. “Marzieh Hashemi will be remaining in Washington DC for the protest on Friday and calls for all cities across the world to keep their protest. “This was never just about Marzieh Hashemi. This is about the fact that anyone of us, Muslim or non Muslim can be imprisoned without charge in the United States. Many of you have already taken action by contacting the Department of Justice and Congress on her behalf. We applaud your efforts! Because of you, the government knows that people are paying attention. In some countries, university education is supported or funded by the government. People pay it back by tax, but if the person’s income is below a certain amount, they are not obligated to pay to back. I think though, the entire debt-based system is a system of our own making. We can blame whoever we want all we like, but it is of our own making.